I knew that I had to be there, but I was unsure exactly why, that is until the moment that You began to speak through your daughters. For years I have known that a part of my calling is to reach out to children, but not really knowing exactly how. This past week was a picture of how my calling is lived out. I love to support and give of my time and gifts to friends, but especially to people who can never repay me. Children are always in that category of those who cannot physically repay me. 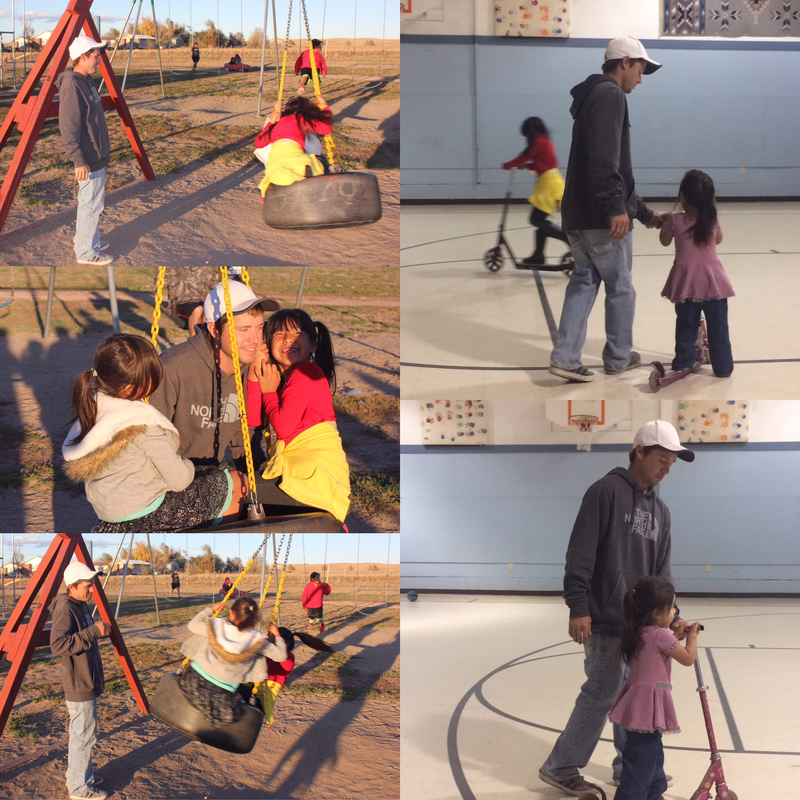 This week though the children spoke so much to my heart that I was not expecting. It’s beautiful when we hear the Lord speak, and I could think of no better vessels of his soft whisper than the three little girls who I got to hang out with for a few moments during this trip to South Dakota. One of the things that I heard was, “go sit down, I want to do it myself.” So many times this is what I say to the people in my life, not even always on purpose, but simply out of habit. But what I saw was the need to have people help you, because if in that moment I would have chosen to sit down, injury and pain would have come to the child who thought that riding her scooter alone was best for herself. We often think that our way is good for us, but often we are missing so much. The other part of this week that was so rewarding was being able to work on a house for a family who take in foster kids. 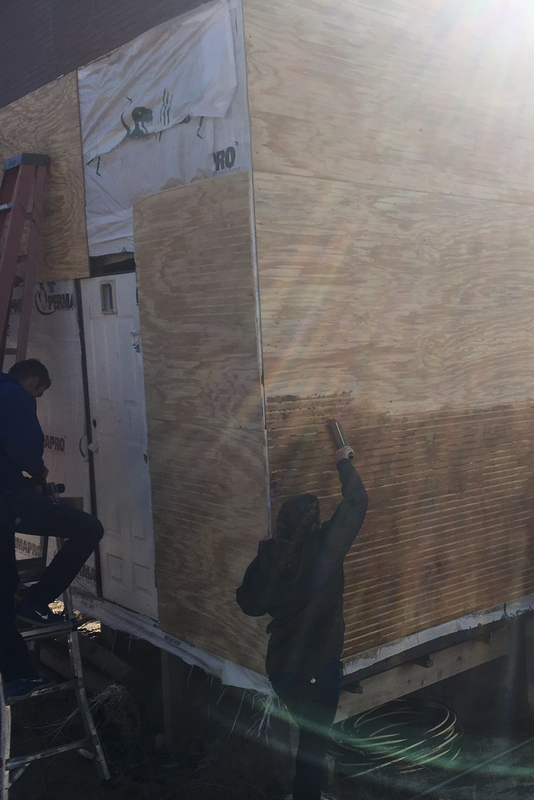 they currently live in a mobile home, and are in the process of building a two bedroom home to better house the kids that they open their arms to. 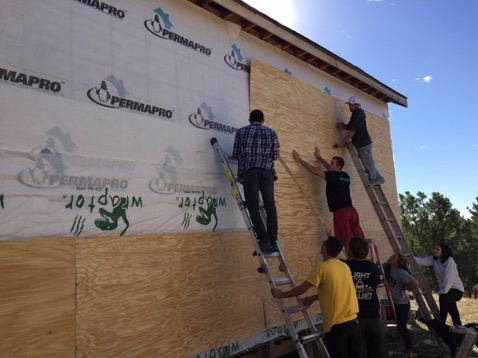 I was able to lead a team of 10 or so guys and girls in putting siding and wood floor sheets in the house, and adding a bathroom floor and walls. It was such a joy to be able to build with people who didn’t know everything, but had willing hearts to learn all that they could.